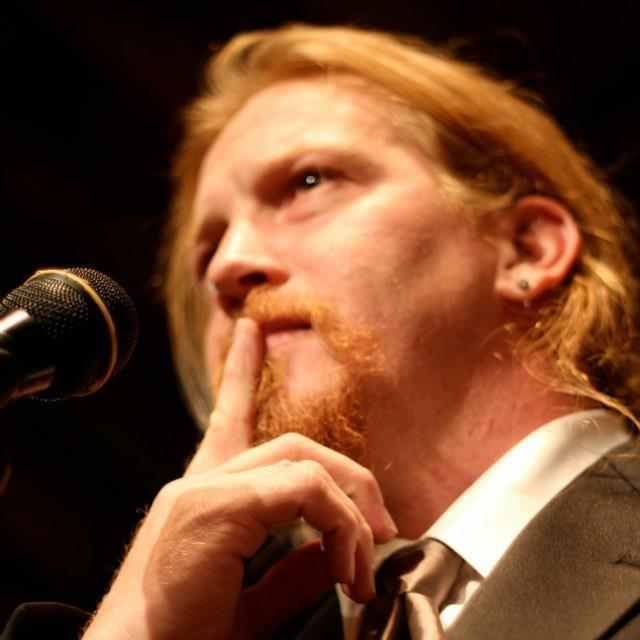 A performance poet since 2006, Zachary Kluckman has been writing poetry for 25 years. He is a member of two consecutive Albuquerque National Poetry Slam Teams and has represented the city at the Individual World Poetry Slam. A Pushcart Prize nominee, and recipient of the Red Mountain Press Poetry Prize, his work appears in print globally in such publications as the New York Quarterly and Cutthroat, as well as numerous anthologies. Featured on over 500 radio stations, with appearances on many of the nation’s most notorious stages, he is an accomplished spoken word artist. He serves as the Spoken Word Editor of the Pedestal. Twice recognized for making world history, he is the creator of the Slam Poet Laureate Program and an organizer for the 100 Thousand Poets for Change program, the largest poetry reading in history. His first collection of poems, Animals In Our Flesh, was published in 2012 by Red Mountain Press. He has a collection titled, The Curious Circus, from Uncola Press. An activist and youth advocate, he lives in New Mexico with his four children. Zachary Kluckman’s collection of poetry entitled, Some of it is Muscle, is the first publication offered from Swimming with Elephants Publications. It can be found at the following sites.